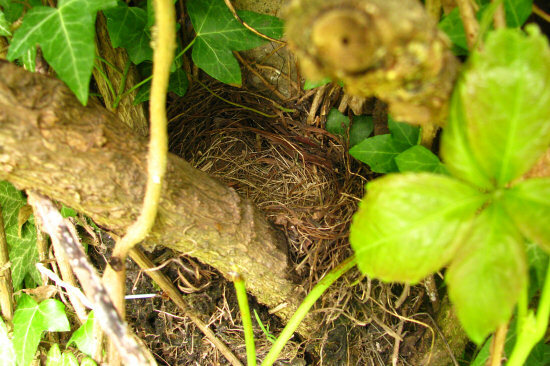 Last night, we had a heavy thunderstorm and we worried about the young blackbirds – but when we looked in the nest, the birds had left! The nest was not destroyed and in good shape, so they must have left sometime early in the morning after it had stopped to rain. We presume they’re still hiding in the bushes on the larger lawn to the left, because there are now several adult blackbirds hopping around there. That was unexpected, we didn’t think that they had grown so much already. But we’re confident that they’re going to make it – it’s a bit colder and wetter now, but there will be lots of food on the juicy lawn.